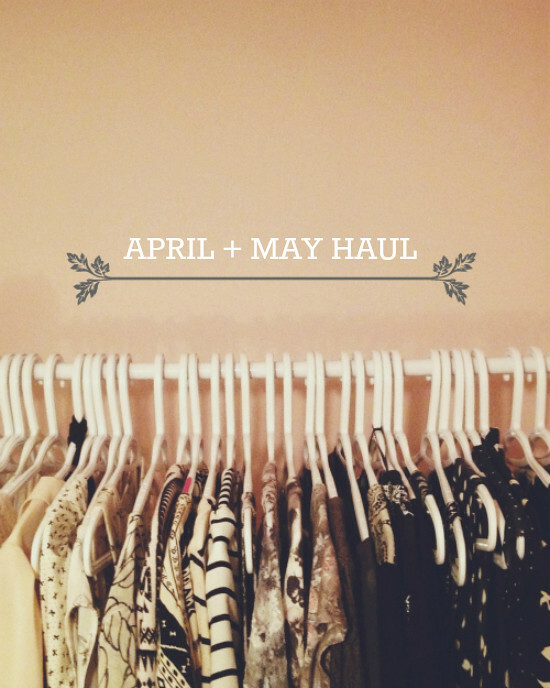 I've avoided shopping for the most part over the past few months, but I have managed to scoop up a few good deals in April and May! I've been loving simple and basic looks, and this grey t shirt from Boathouse has been SUCH a staple this month. I wear it as often as I feel I can get away with. 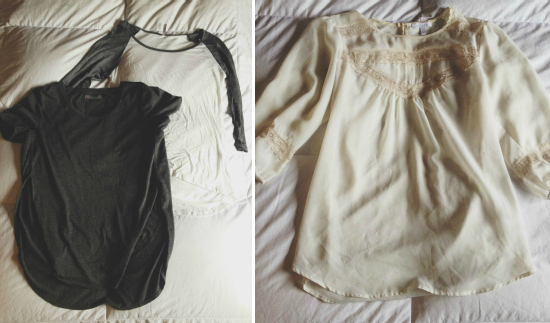 I was also so lucky to win cute items through an instagram auction on @shopsavscloset! This white blouse is so pretty, and I love sheer white fabrics and lace for summer months! 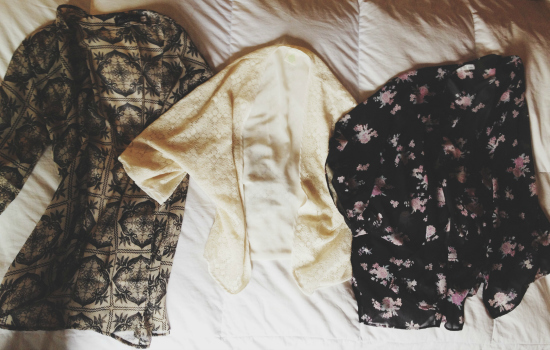 As per usual, kimonos appear to be taking over my closet. I now own at least 6 and can't possibly imagine what other variations I might decide to purchase, but I wouldn't be shocked if more kimonos make their way on this blog in the near future. I rarely wear the heels and wedges that already sit on my shoe rack, but I couldn't say no when I saw that these wedges were only $10!! I'm planning on wearing them for my grad ceremony so I can justify this purchase as a necessary one... moi ha ha. I also bought a few basic pairs of flats this month! Footwear is always difficult for me during the summer and hotter seasons, but I always seem to wear flats until they fall apart, so I never have enough! so jealous of your luck with the insta auctions! that dress is incredible. also jealous about the boathouse store you speak of. canadians have such cool fashion retailers! you picked up so many pretty pieces the last few months! 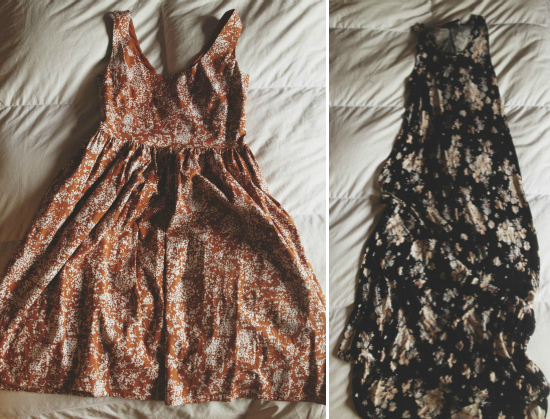 i need those kimonos in my life. this store boathouse seems amazing, such a shame they don't have one in the US.